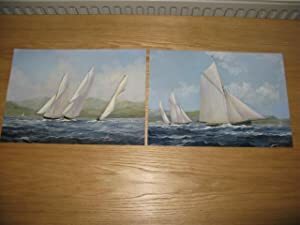 A PAIR OF OIL PAINTINGS OF SAILING YACHTS RACING. 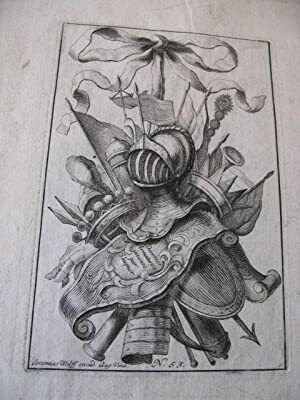 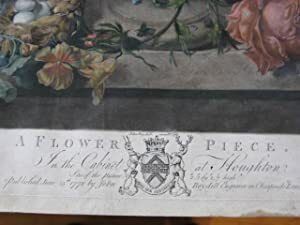 A FLOWER PIECE. 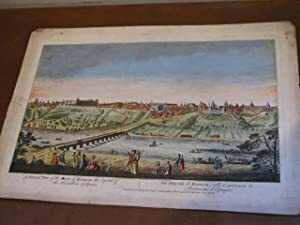 IN THE CABINET AT HOUGHTON. 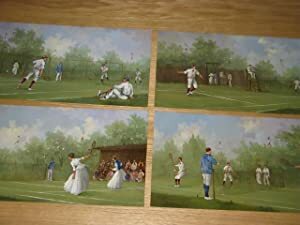 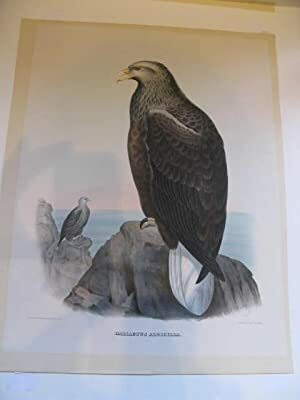 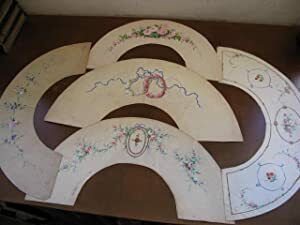 18 ORIGINAL 19TH CENTURY WATERCOLOURS DESIGNS FOR FANS. 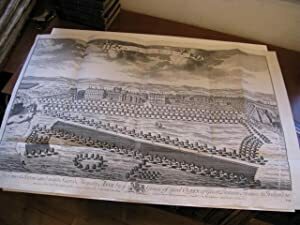 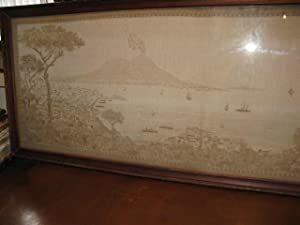 A LARGE ORIGINAL PANORAMA OF NAPLES - NAPOLI in NEEDLEWORK OR TAPESTRY. 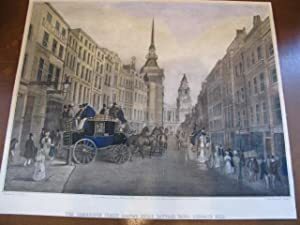 THE CAMBRIDGE COACH LEAVING BELLE SAUVAGE YARD, LUDGATE HILL.